Email Monks and Getresponse among other have done some research in the subject and came up with pretty interesting numbers. According to the surveys a video email can bring you a 55% increase in CTR, 41% more shares and forwards and a 24% increase in conversion rate. And those are not even the most impressive numbers: Email Monks say that video email offers you a chance at getting a return 280% higher than traditional, static email. If you want to choose a simpler route, but still don’t want to miss out on the visuals than you should turn to GIFs. Today you can even include live Twitter feeds, mini games and a bunch of other cool stuff in an email, but these are quite tricky. Would you like to see these fancy features added to EDMdesigner’s responsive email editor? Tell us in a comment! Several clients are still dragging behind the market trends as they are more focused on security than serving the needs of marketers. But you can also find ways to work around these restrictions. Due to compatibility issues, HTML5 video is supported in less than two thirds of email clients. But for example if the majority of your email subscribers use iPhones and Macs to open your emails, you are in a great position to show ’em what you got in a video. Be careful with the 58% shown in the statistics above. Your actual email list may easily differ from these statistics! So always check your own list, and take that into account. GIFs are the safest way to include non-static elements in an email: they are smaller, there is much less trouble embedding them in the email – and the overwhelming majority of marketers who use them (72%) register higher transaction to click rates. 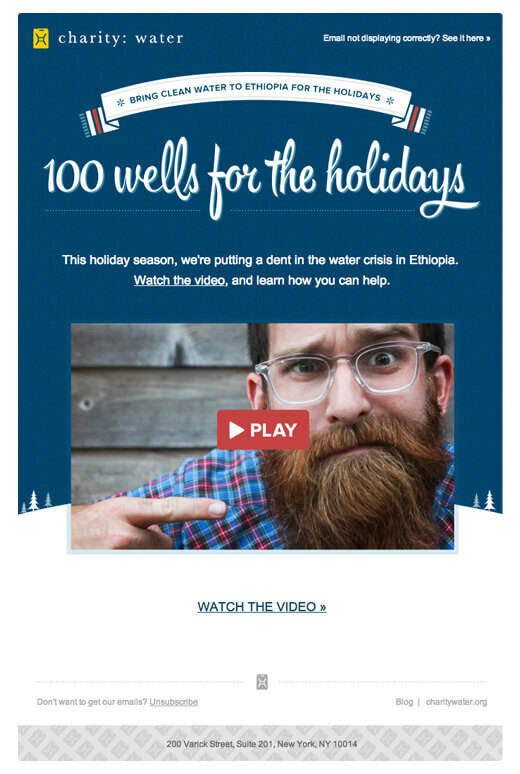 You should not use a video in every mail you send, but make sure you make them part of your campaigns. If you don’t have a segmenting strategy effective enough to send out video emails only to those who can play them without any issues, use GIFs as previews and direct recipients to your site: this will still bring you impressively better results.